And that’s about it. Amazing really, when you consider that these apps are our gateway to the largest repository of knowledge that the world has ever had. (Be careful, some sites are fakr) Of that list above, many would argue Opera shouldn’t be there as it’s never troubled the statisticians, I’ve included it because many innovative Opera features were adopted by Chrome & Firefox, & it’s still a recommended choice. Many of you will have used Internet Explorer (don’t, just don’t) & Chrome, the relative newcomer, released September 2, 2008. That’s it, only two. Ever. The successor to IE, Edge, is primarily used as a download manager for Chrome – after a fresh Windows install, fire up Edge, type “Chrome download”, click the download link, close Edge, never use it again. So in the wwworld, where evolution happens within weeks, you’d expect that the time is ripe for a powerful new entrant to the browser wars. If so, if you had in fact been thinking “hmm, I wonder…” then your musings were correct  / and your wishes have come true. Brave Browser is a fresh, new take on what’s needed for a quality web experience today. Brave Browser is available for all environments that matter – Android, PC, Mac, Linux, even effective on the highly-constrained iOS platform. So for 99% of us, Brave is available now. Windows Phone users – don’t even think about complaining, your troubles are your own fault. You chose that POS system, live with it. It’s amazing how fast a page loads when you strip away everything but the real content. I code web pages. The amount of background code that you don’t see – analytics, tracking, ads, is ridiculous. I don’t know how Facebook got it’s code to pervade nearly every website on the planet, but they did. You load that code whether you’ve got an FB account or not. Brave blocks the extraneous code by default – rendering just what the page is written to deliver. Just yesterday I was with an Arabian tech titan, reviewing his many internally-managed online properties. He’d been using Google tools to test their performance & wanted to know how to improve them, as neither he nor his staff could understand WTF Goggle meant with their enhancement suggestions. His confusion masquerades as anger after certain amount of circular references leaving him still struggling to understand the “problems” that Google claim he has. Impressed? You should be. Brave Browser is not just fast, it’s also private. Using the “https everywhere” protocol, it checks whether or not a site has a secure connection available. If it does, you get it delivered to your screen. Annoying ads are yesterday’s news, and cookies stay in your jar where they belong. Not only is our new favourite browser faster & safer, it’s also (like Signal) fully open-source. Having published code that’s available for inspection by experts & accepts contributions from a worldwide army of freelance coders ensures that Brave Browser is secure & wil remain that way. Brave Browser has a solution to the zero-income model that ad-blocking creates – now that’s innovative thinking! To uncover more about that, check out their Publisher/Partners scheme – a robust, transparent, long-term sustainable payment plan that will keep the internet usable and financially viable. There’s more, lots more. Right now though, you need to download Brave Browser for your device/s. 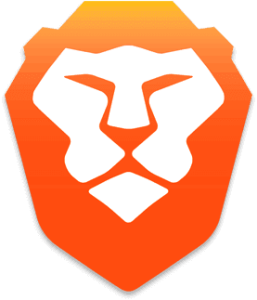 Brave Browser – you read it here first.